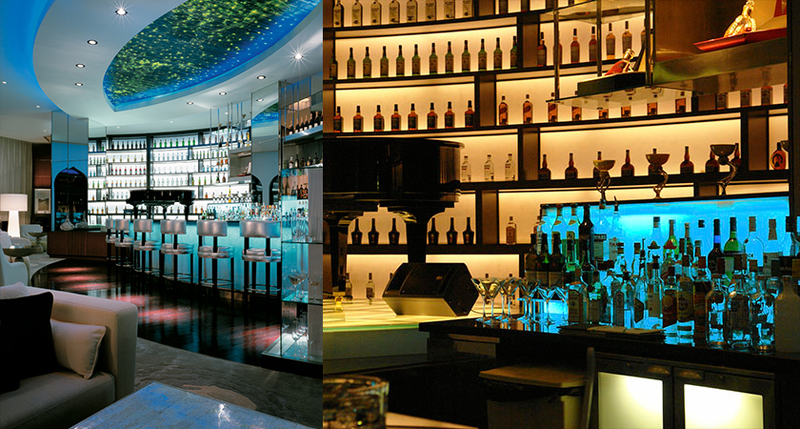 The central bar with it’s elliptical form is the main focus of the space and comprises of a variety of lighting techniques predominately with integrated lighting solutions to bar frontage, shelving, and ceiling features which generates the required lounge bar ambience. The corresponding elliptical ceiling feature hovers over the bar and depicts an abstract expression of marine life relating to the site’s conversation coast-line. The ceiling raft feature with central ellipse area of green glass-plank diffuses the backlighting technique of fibre optic weave and point source tail ends which is then surrounded by blue coloured cove uplighting halo edge illumination emulating inwards and also outwards from the ceiling raft. 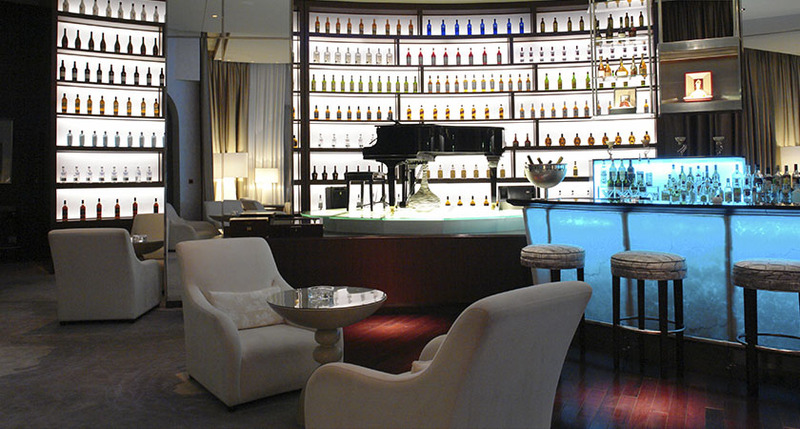 On entrance to the bar, the vista and bar composition is completed by the back-drop of the curved wall’s feature of full height bottle shelving being back-lit with linear lamp sources and in-turn silhouettes the grand piano.